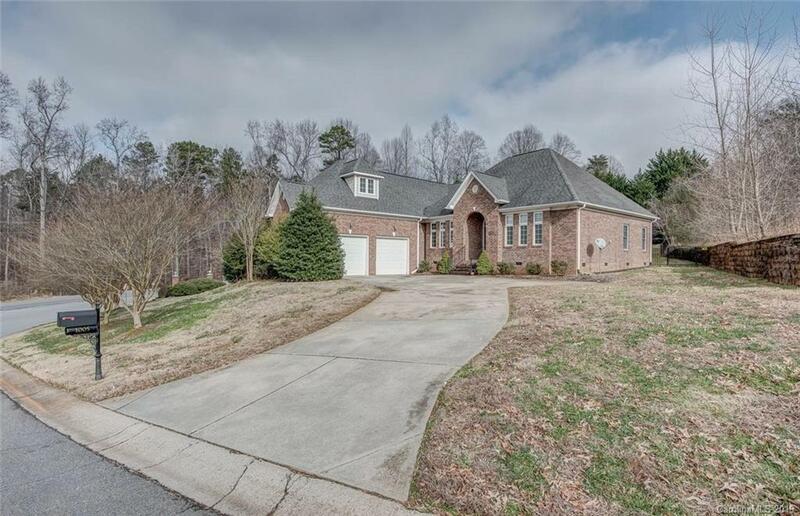 Gorgeous full brick ranch with bonus room! Easy one level living with main level master plus 2 addt bedrooms on main level, open floor plan, lots of hardwood floors and feature ceilings. Lovely entry foyer, great room with fireplace, large dining room and nice laundry room. Huge kitchen is open to great room and features serving/eat at bar, SS appliances, lots of cabinet & counter space and large eat in breakfast area. Split bedroom plan with private spacious master suite that has his/her closets, his/her vanities, walk in tiled shower, soaking tub and private water closet. Upper bonus is perfect for media room or home office. Huge walk in attic storage, side load garage and much more! Lovely backyard that is fenced and has a relaxing covered patio. Less than 2 miles to I85 and just minutes to Belmont, Uptown Charlotte, airport, shopping & restaurants. You must see this beauty!